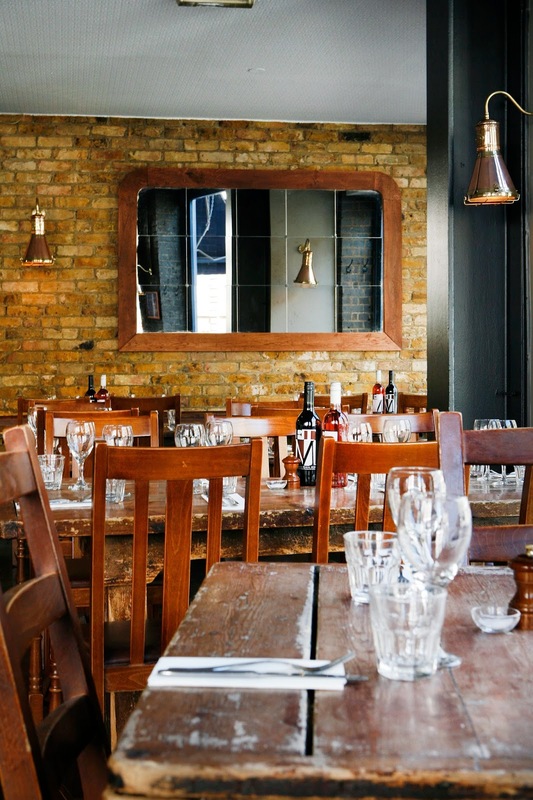 The Well, a London foodies dream. 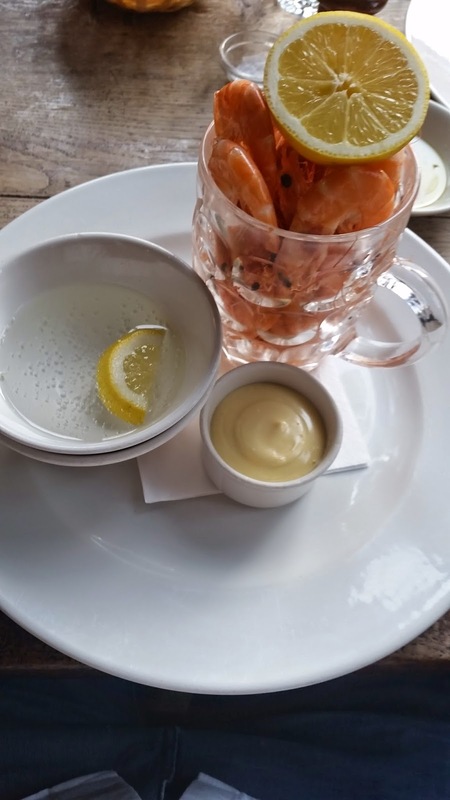 Last week I paid a visit to gastropub The Well in Clerkwenwell. A bright and airy space located a short walk from Farringdon underground station. The Well serves the best of British food with fresh produce, some of which is bought daily from local Billingsgate Market. 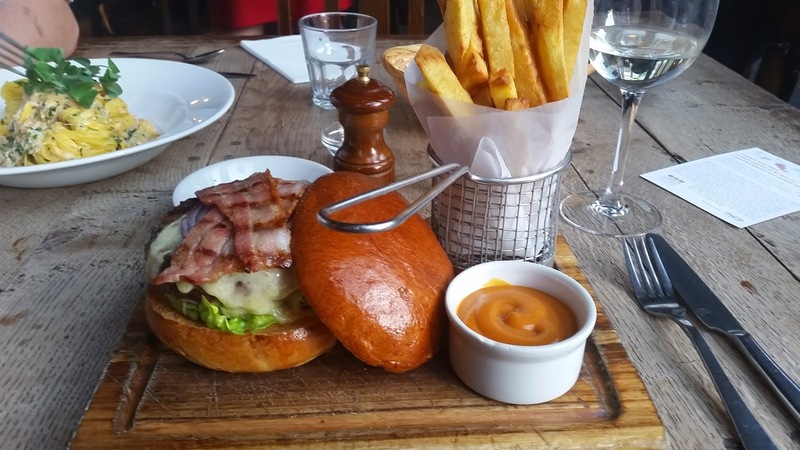 The Well provides a twist on normal pub grub. 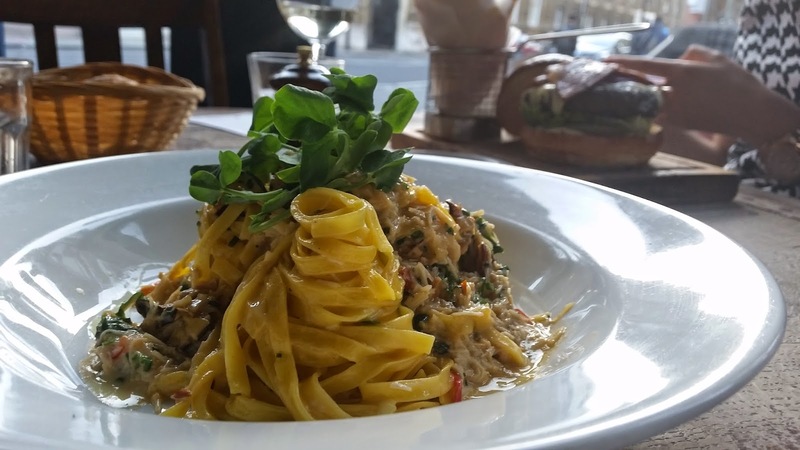 It’s a wonderful hidden gem, a favourite with locals and also a foodies dream with a range of exquisite and unusual dishes making it worth the trip across London for. The Well offers a pub on the ground floor available for dinner and drinks and downstairs there is a cosy cocktail hide out which can be hired out for private parties. The staff are extremely friendly and helpful and during our visit on a Monday evening the place was packed and buzzing. I began the evening with my favourite – a glass of Marlborough Estate Brook Ridge Sauvignon Blanc. I decided to go for a starter from the daily specials menu – the Soft boiled Black Headed gull’s egg with herb mayo and celery salt (£6.50). This was the first time I had tried a gull’s egg and I was fascinated by the beautiful colours of it. The eggs were very delicate but full of a thick, brightly coloured and very tasty sunset orange coloured yolk. This went down brilliantly with the celery salt. The yolk is very rich in flavour, richer than that of a hen or duck egg and the egg white is soft and melt in your mouth delicious. Gull eggs are very hard to get hold of and they are only in season for around three weeks which makes them highly priced but for just £6.50 at The Well, they are quite the bargain. You can read a really interesting article here on gull eggs. 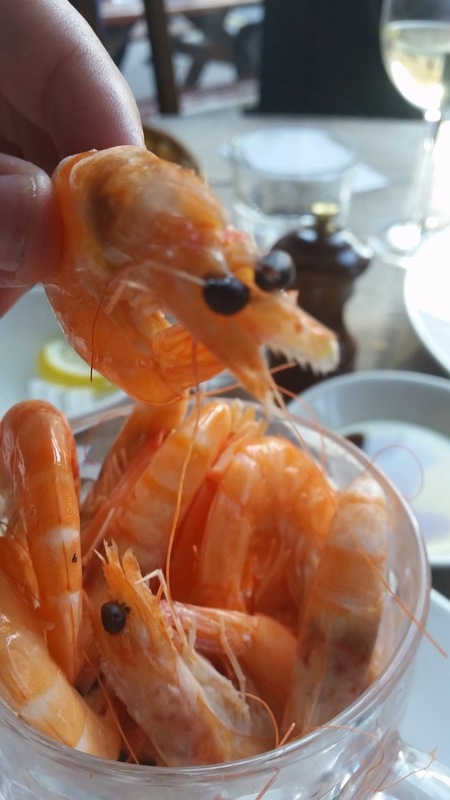 Karl went for the Pint o’ prawns (£12) but if eating this dish alone we highly recommend buying the half pint (£7.50). 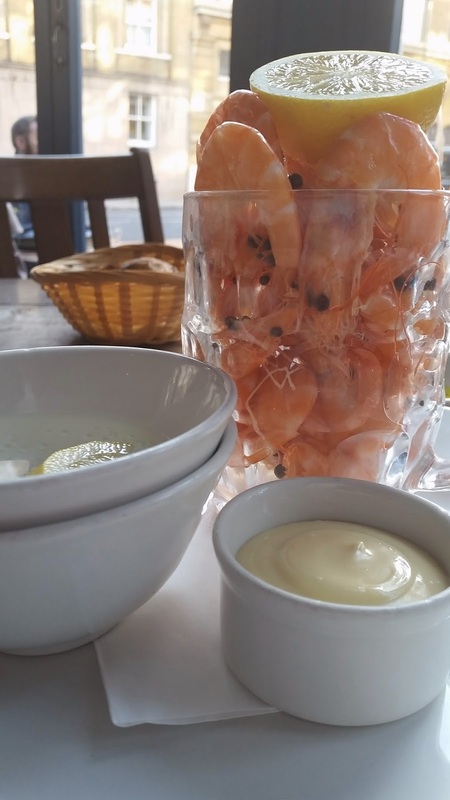 A lot more prawns than we expected can fit into a pint glass so it was a bit of struggle. The pint is perfect for sharing though, fortunately for greedy me. For dessert we shared the Sticky Toffee pudding with Cornflake milk sorbet (£6). The cornflake milk sorbet was the highlight of the dish and tasted exactly like cornflake milk. This stuff definitely needs to be available to buy! 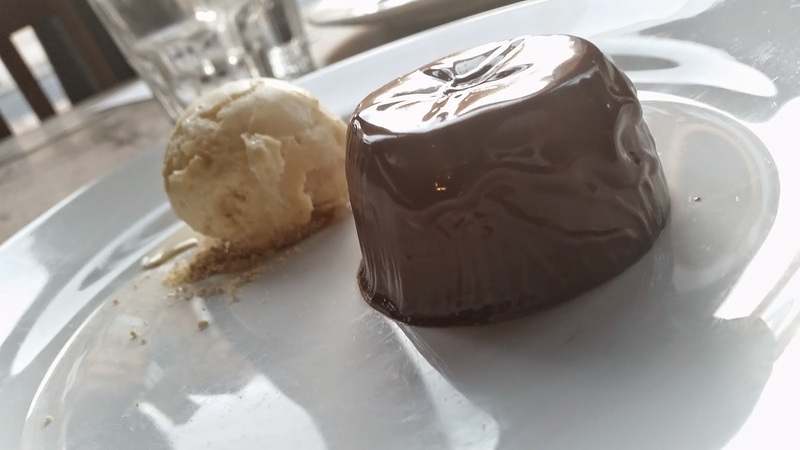 We also had (my absolute favourite) Chocolate Delice with honeycomb ice cream (£6). If you are a major chocoholic like me then this is heaven. 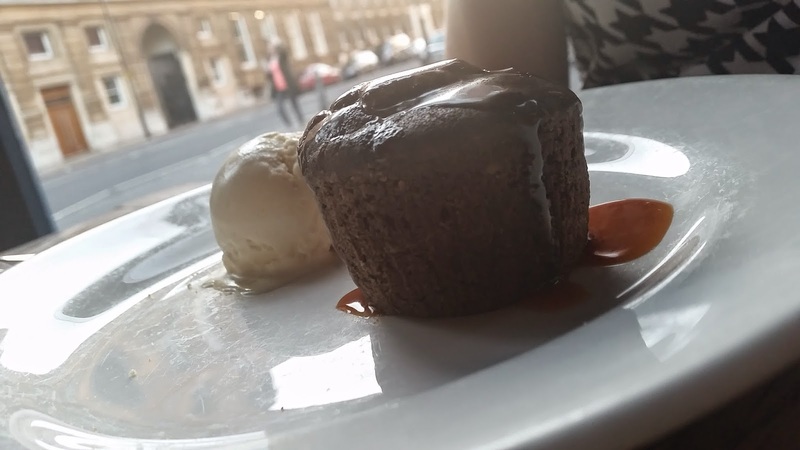 You only need a small portion as it’s so rich but so full of chocolately goodness. You can enjoy Brunch Bingo at The Well on the first Saturday of every month. Starting at 1pm guests can pay £2 for a bingo card each to play two games up to 45 minutes. Completing one line on the bingo card = a complimentary cocktail but if you get a full house you could win a £50 bar tab or a three course complimentary meal. Each guest will also enter a raffle to win a free shot and The Well will also be giving out random spot prizes! Play whilst you enjoy brunch from just £5. 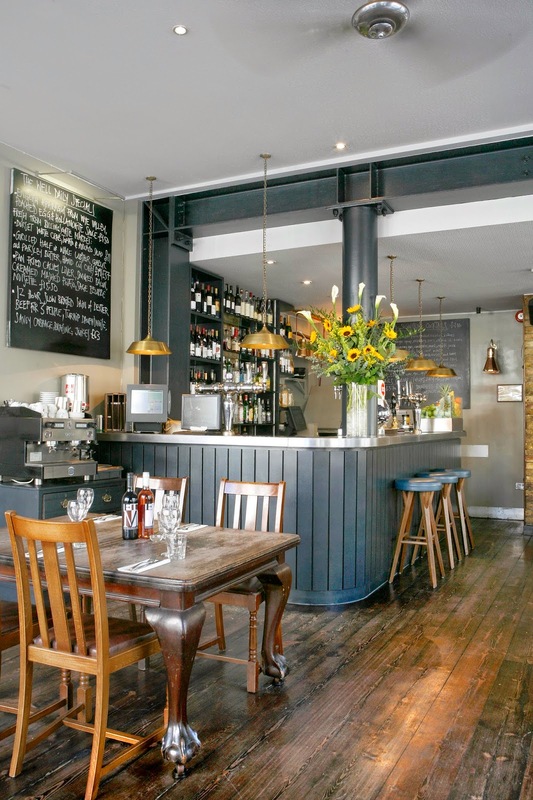 They also have a pub quiz on a Tuesday from 7.30pm which I would make the journey for (I’m 2 hours away) just for the wonderful food and amazing wine.